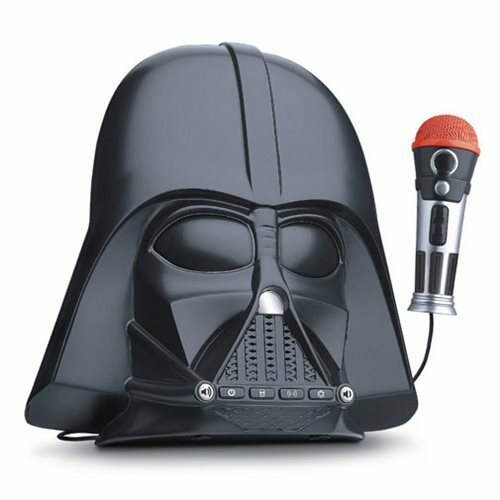 Now you can sound just like Darth Vader! Join the dark side with Darth Vader lines and real sound effects including voice phrases from the film saga! You can also connect your MP3 player to rock out to your own tunes! Requires 3x "AA" batteries (included). Measures approximately 9-inches tall. Ages 3 and up.